‘Automated Teller Machines’ have been around for over half a century. They allow users to complete transactions automatically without the need of a bank clerk. ATMs provide easy access to cash, account reports, some allow users to transfer funds between accounts, make deposits and more. Additionally, Automated Teller Machines are everywhere around the world, you can even find one at an altitude of almost 16 thousand feet above sea level in the Khunjerab Pass in Pakistan. The global ATM market is worth over ’14 billion’ and many businesses are part of the industry; however, a new form of ATM has appeared that continues to make headlines around the world: ‘Bitcoin ATMs’. The dynamics of using or operating one are similar to traditional banking ATMs, but they provide access to cryptocurrencies. If you are an ATM operator, you should take advantage of your existing infrastructure and include Bitcoin ATMs to your existing business. ATM operators can take advantage of their existing relationship with venue landlords to obtain access to prime locations that are yet to host a Bitcoin ATM. Your current locations’ access, visibility, traffic, and other factors needed for a successful ATM location are also required for a Bitcoin ATM. A good location will be a key factor in the success of your operation. Existing logistics of an ATM business are also required by Bitcoin ATM operations, hence combining the two operations can help reduce operational costs. Banking relationships, cash transportation, and other aspects of an ATM business are essential to host a Bitcoin ATM. Like in ATM operations, routes for cash collections and replenishments are an element in the Bitcoin ATM business. Moreover, factors such as maintenance, software and hardware support are very similar in both businesses. The number of cryptocurrency users continues to grow exponentially. In 2018 the number of cryptocurrency users doubled and according to ‘MarketsandMarkets’, a business-to-business research firm, the Global Bitcoin ATM Market will to be worth ‘$145 million by 2023’. Currently, the transaction fee that Bitcoin ATM operators charge ranges from 5% to 15%, this fee will provide an extra source of revenue to existing ATM operations. Bitcoin and other cryptocurrencies popularity grow every day. This has contributed to an increasing demand for Bitcoin ATMs worldwide. 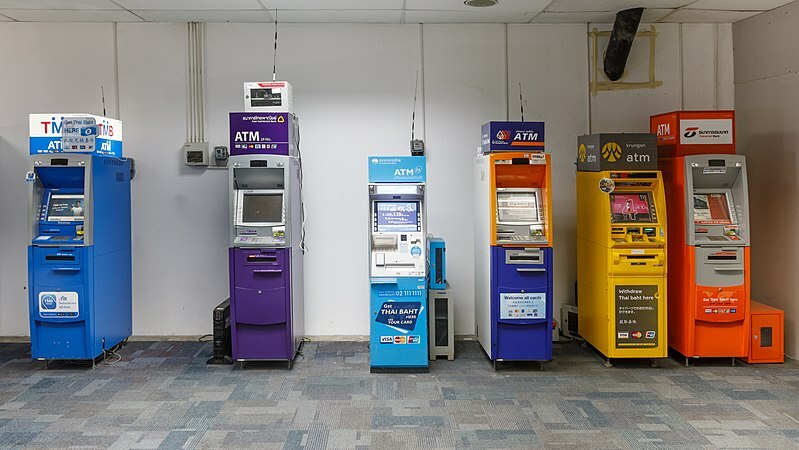 As this market is still in its early stages, visionary ATM operators can capture the competitive advantage that prime spots still available will provide, reduce operational costs by using existing logistics to create a new business line, and create an extra stream of revenue by including Bitcoin ATMs to their existing business.